If you have corrupted Chipsbank USB flash drive that have format errors .Here is UMPTool 4.1 software that can repair Chipsbank CBM2080 chip controller .Format your flash drive for free now . Chipsbank CBM2080 UMPTool 4.1 software is designed to repair and fix Chipsbank usb flash disk that have CBM2080 chip vendor .UMPTool 4.1 can reformat corrupted CBM2080 flash drives that have format problems such as Write protection problem ,Windows unable to format disk ,Please insert disk error message and other format errors . UMPTool 4.1 software is a full free version format tool , you will not find it in anywhere because it was missing ntmsapi.dll file but i fix this problem and now you can use it .CBM2080 UMPTool 4.1 firmware support update CBM2080 flash firmware only so please don't use it with another chip controller .You must be sure that flash drive chip vendor is CBM2080 , you can use Chipgenius software or USBDeview V2.30 utility to determine your flash drive information . 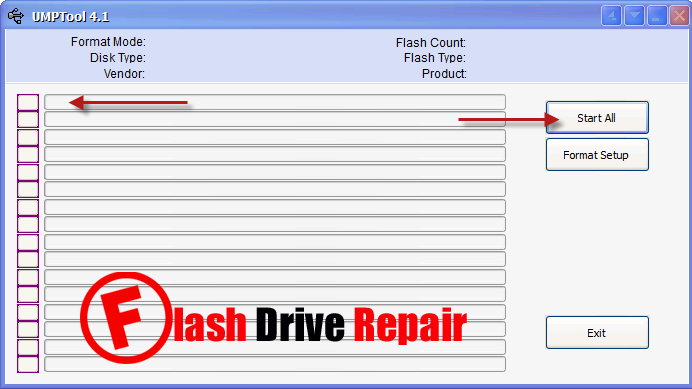 How to repair Chipsbank CBM2080 flash drive ? Download Chipsbank CBM2080 UMPTool 4.1.rar from download links below . Extract Chipsbank CBM2080 UMPTool 4.1.rar and open UMPTool 4.1.exe . 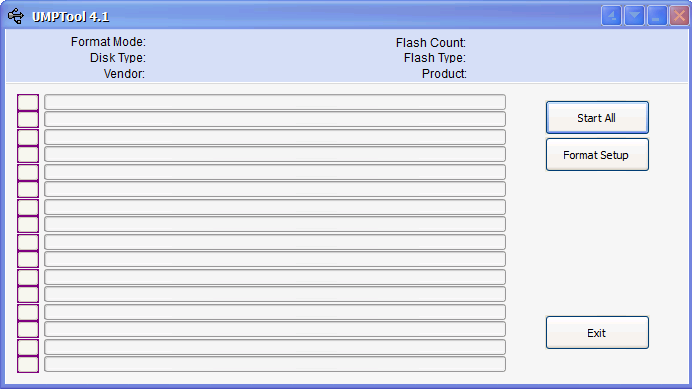 If your chip controller is supported , you will see your flash drive information appears on software interface . Click Start All to begin format your flash disk .